Living in the Goa of the 1940’s meant no electricity, coping with one too many siblings and walking barefoot for miles on end. It was also a period where time stood still and each moment uncovered was filled with rare emotion and gratitude. Aida is a little curly head girl from those times. She was born in 1935 in the quaint and charming village of Saligao. This is her story. Seen through her eyes, but narrated by her just-out-of-college 21st century grand-daughter, Melody. Aida is loved by all, children and adults alike. Her little acts of courage will warm your heart. Her rather large family brings you incidents of frolic and fun. 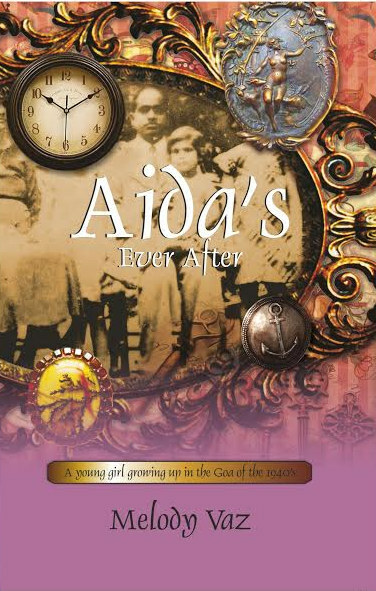 Yet life is not all happy for Aida, as sudden happenings lead to loss and pain. She also has to deal with a war persisting around her. Will Aida be brave enough to face these obstacles? And will she be able to find the happy ending she’s looking for? Follow Aida as she takes you to a time in Goa where even a simple life can have its ups and downs….